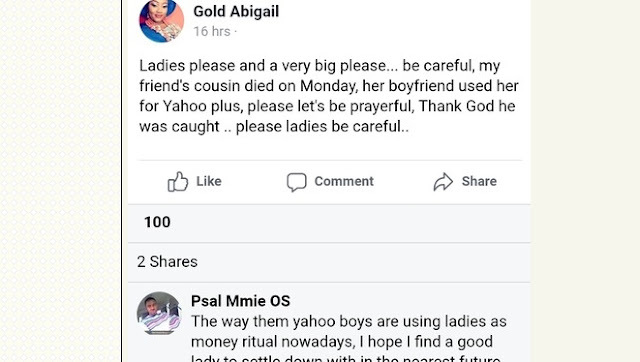 So sad.. . RIP to her. 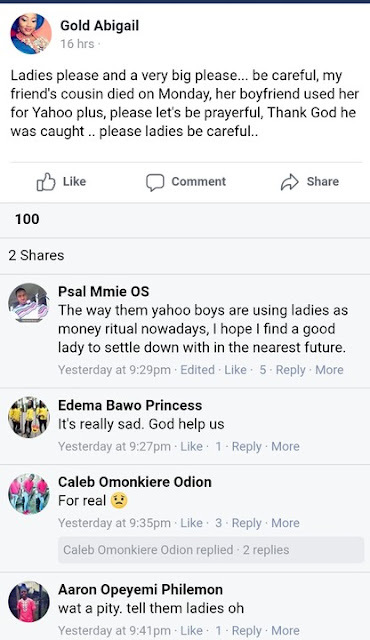 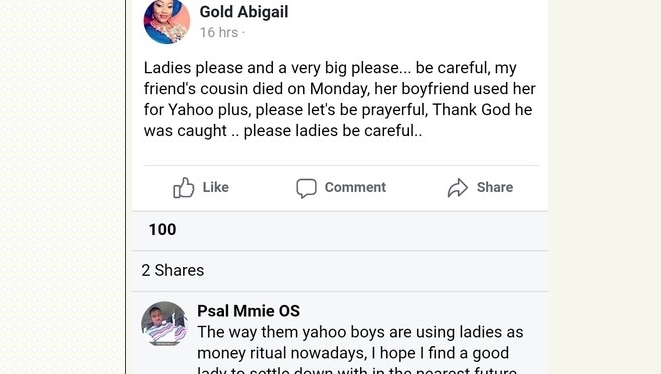 Ladies please and a very big please... be careful, my friend's cousin died on Monday, her boyfriend used her for Yahoo plus, please let's be prayerful, Thank God he was caught .. please ladies be careful..